We had arrived at the airport in San Diego around 10 pm, picked up a rental car, and driven approximately 2 hours into the desert which was near Mexico. It was too dark for me to see much as we made our way to the hotel, and fell asleep sometime after 12 exhausted by our travels. In the morning we awoke bright and early to get ready for my first visit ever to see Sean in prison. For his mom this was nothing new, she had been countless times, visiting him every month for the past 10 years. She was with me on this journey, and without her I would have been lost and overwhelmed. I was in awe of her on this particular trip, seeing it all for the first time, and she suffered a pretty bad injury to her foot and knee that morning at the hotel while getting ready. But almost nothing can stop a visit- or so I learned. Once at the prison, Calipatria, we parked and got out to wait in line on an actual painted line. It wasn’t cold, though it was January. I was filled with nervous excitement, butterflies in my stomach. How long would it take us to get inside? What would it be like? I had never been to a prison visit before and didn’t really know what to expect. What would Sean be like? I hadn’t actually seen him since high school, we had been writing letters for almost 6 years because that’s how you communicate with someone when they’re in prison. I wasn’t sure if we would really “know” each other in real life since we had only communicated through letters. How much can you really get from written words on a sheet of paper? I looked around at the other people waiting in line, were they as nervous as I was? His mom told me that she still gets a little nervous, even after all this time. We couldn’t wear certain things to visit: no blue jeans, no metal of any kind- even under wire bras, no short shorts, no blue. I don’t think I even wore any jewelry that day because I wasn’t sure what was and wasn’t allowed in. We were allowed to bring in clear plastic bags with up to 50 one dollar bills and quarters inside for use at the vending machines. We had to show our IDs, pass through a metal detector, turn out our pockets, show the inside of our mouth, take off our shoes. Once inside the visiting room we went “shopping” at the long line of vending machines that dispensed cold drinks and packaged foods. His mom bought him beef tacos that came with little containers of salsa. Then we sat down at a table and waited. The tables are all low, they come up to your knees… I guess so nobody can hide under them? It feels unnatural and uncomfortable. There is no real good way to sit so that you don’t feel awkward. There were yellow lines painted on the floor designating certain areas off limits for the inmates. They were not allowed to handle cash, touch the vending machines, or use the microwaves. These rules seemed like such a culture shock to me on this day, inmates are reminded at every turn that they are just that- prison inmates. When he walked out the very first time I was so scared. I guess probably because I’m shy. I think also because at that point the whole “he’s in prison” thing felt sort of daunting and foreign to me. He hugged me, hugged his mom, sat down and felt that the table was wobbly. I remember that he folded up a couple napkins and wedged them under the table’s too short leg. He looked so… normal. What had I expected? That someone on the inside would some how appear different just because they live in prison? That somehow that sets them apart from us . But he just didn’t. He looked a lot like I had remembered him even though I had seen a couple pictures of him “after”, I still was uncertain until I actually saw him. I saw a man who I had known as a child. Sitting right next to me was a man with really kind eyes, a bright sincere smile, and a quiet gentle voice. We spent the next 6 hours talking, joking and laughing as if we were in a restaurant or just hanging out at home. The rest of the visit room faded away and we were just three people having a good time. We played Scrabble which Sean won nearly every time. I remember seeing a closed door at the end of the room which led to a walled-in outdoor area. I wondered who could go out there and when it was used. Sean and his mom told me it was never open, no one was allowed out there. “You get shot.” he said with a smile. Shot as in they would shoot you down and ask questions later. I was stunned. This was my first taste of real prison. As the first visiting day came to a close I found myself eagerly looking forward to the following day when we would get a second 6 hour visit. They can come in pairs evidently. I couldn’t wait to get back in there and be around him some more. It struck me as interesting that I could have such an enjoyable time in a prison visit and in his company. What was it about him? The second day played out much like the first: wake up really early, drive to the prison, park the car, line up outside, go through the inspection, buy the food from the vending machines. Then sit at the table and wait for Sean to appear. We played games, talked, and laughed a lot much like the previous day. Time flies at visit. 6 hours sounds like a lot but it before you know it it’s time to say goodbye. As we parted that day I just remember this feeling of helplessness over Sean’s situation and it frustrated me. The department of corrections constantly reminds inmates that they have absolutely no control. Every element of their lives are dictated: what to wear, where to walk, where to sleep, when to get up, when to eat, what to eat. And in this situation neither did I. I knew and believed Sean’s innocence but there was absolutely nothing I could do to help him other than to bring joy into his life through our friendship and correspondence. It just stuck me as heart-breakingly unfair that this normal person’s life could be basically ruined by lies an unjust ruling. I felt shattered by it. I looked at his mom who had been going through this for years and was astounded. I was motivated by her strength and can-do attitude. That woman can and will move mountains! At that point I knew he had been in this particular facility, Calipatria, for almost 7 years and assumed that’s where he would continue to be for a while. I had no reason to think otherwise. It felt very daunting to have to travel so far to see someone that I wished could be in my life a lot more than just once in a while. I couldn’t wait to get to go see him again. I would play these two days over and over in my head for the next 6 months until I saw Sean again. 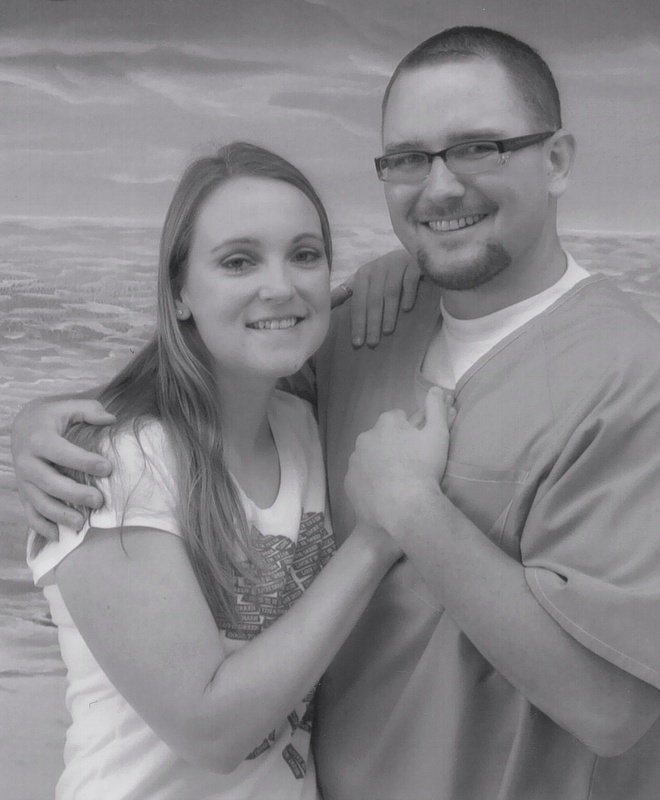 This entry was posted in wrongfully convicted and tagged long distance relationships, prison, wrongful conviction. Bookmark the permalink.